The Gospel According to Star Wars, 2nd Ed. 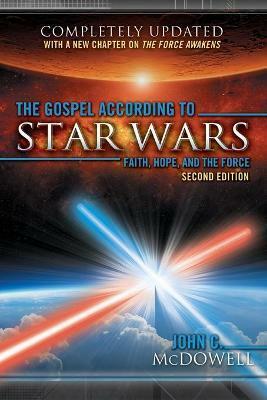 In a new and updated version of this best-selling book, John McDowell explores the many spiritual themes that weave throughout the Star Wars films. From the Force to the dark side, the issues discussed in the films have a moral and spiritual complexity that, if paid attention to, can help us better understand our place in the world and our relation to others and to God. George Lucas, the creator of Star Wars, did not intend for his films to be mere entertainment, McDowell argues. Rather, he hoped his films would be used as a vehicle for moral education. This new version has been thoroughly revised to include discussion of The Force Awakens and other new developments in the Star Wars universe.